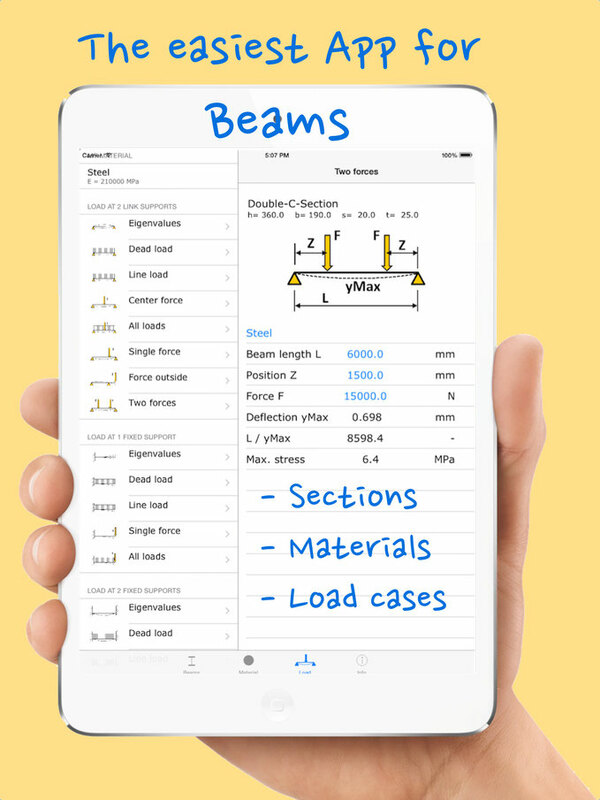 Calculate mechanical values for lots of cross sections and also bend and stresses. 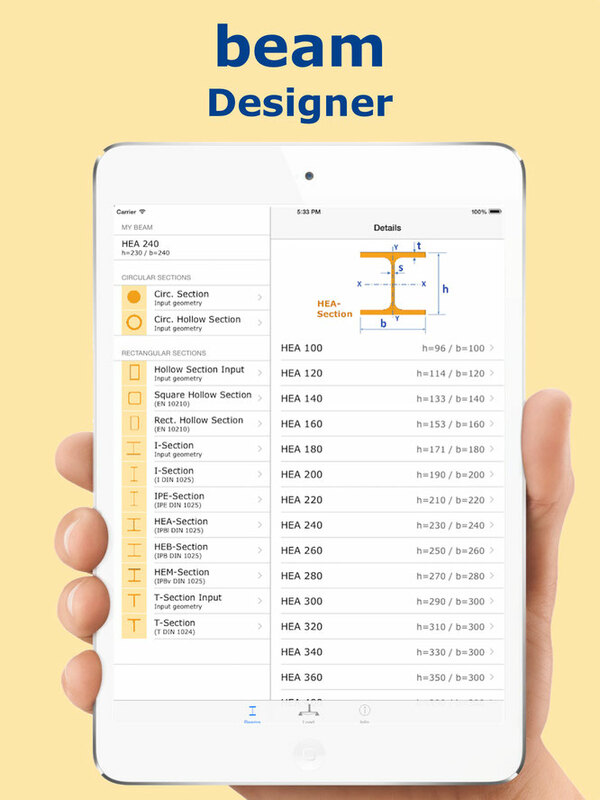 Calculate mechanical values for many steel profiles and also bend and stresses. 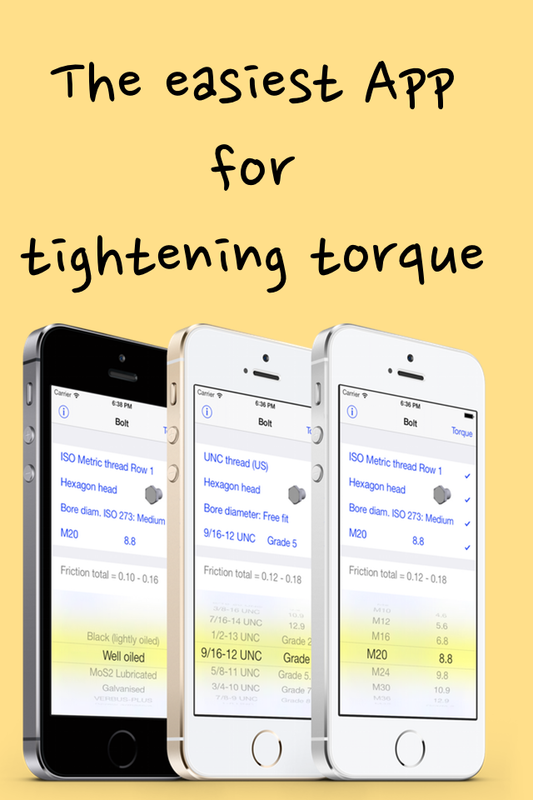 Calculate tightening torque and preloads for many screws in a very simple way.